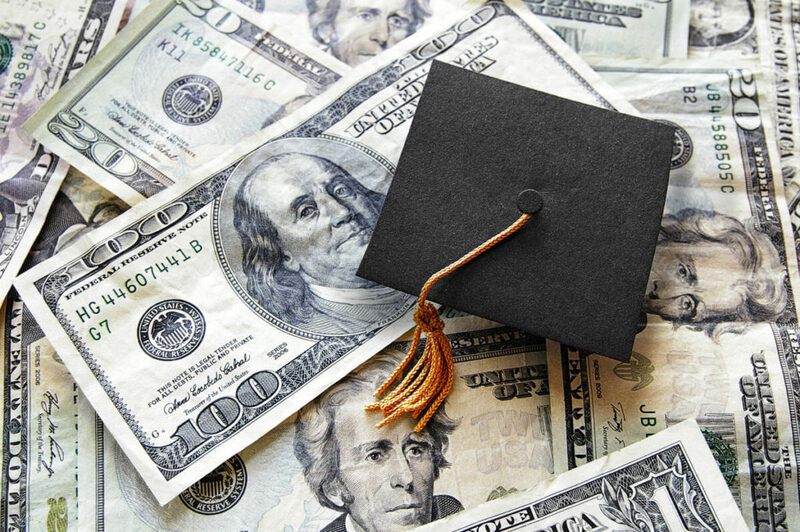 If you have a felony and are looking for a way to pay for going to college, the federal Pell Grant Program can give you as much as $6,000 per year toward the cost of your tuition. The best part is that a Pell Grant is NOT a loan, its actually free money that you will never have to repay. Not everyone qualifies and there are specific eligibility criteria you would need to meet. However, having a felony record, does not automatically disqualify you from getting the funding. We will go over what the criteria are, and break down the application process step by step. It is a need-based grant offered to undergraduate students, who want to enroll in a college or technical school. This money is provided by the US Department Of Education. The main criteria to qualify is financial need. Your grades or other type of merit you may have received while in high school do not make a difference. – your financial need. Its determined based on the cost of your school and your expected family contribution. It is important to realize that you can only get a Pell Grant for 12 semesters, which is equivalent to 6 years. Also, you may be eligible for a larger Pell Grant, if you have a parent or guardian who served and died in US military in Iraq or Afghanistan, after 9/11. You could qualify, if at the time of death, you were less than 24 years old, and enrolled in college or technical school at least part time. Finally, it is possible to get up to $4,000 per year extra in grant money, if you are eligible for a Federal Supplemental Educational Opportunity Grant. Here is a list of criteria, every applicant must meet in order to be considered for the Pell Grant. If you want to go to college, but have not completed your high school education, find out how to get your GED. Once you decide that you want to go college or trade school, its very important to choose the right major or course of study. If you are going to be spending thousands of dollars on a professional degree, you better make sure that you can get a good job after graduating. Too many felons make the mistake preparing for a career in a field where they have very low chances of being hired because of their criminal past. Learn about the top degrees for ex-cons that will launch your successful career. Am I eligible if I have a felony? There is a very common misconception that individuals who have a felony conviction cannot qualify for a Pell Grant. This is not true. The fact is that you are cannot get a Pell Grant while you are still incarcerated. However, once you are released, you are eligible to apply. In fact, its best to start applying when you are close to being released, because it will take time to process your application. One disqualifying felony is a conviction of a sexual offense (forcible or non forcible), and you are subject to an involuntary civil commitment after being released from prison. Another situation where your eligibility may be limited or suspended is for a drug related crime. – your eligibility might be suspended if the offense took place while you were receiving federal student aid. However, you may regain eligibility (even during the same award year) if you successfully complete an approved drug rehab program, or pass two unannounced drug tests administered by an approved drug rehabilitation program. – If you are convicted of a drug-related crime after you submit the FAFSA application, you may lose eligibility for the grant or any other type of federal school tuition aid. Moreover, you may be asked to pay back any federal money you got during a period of ineligibility. – If you are convicted of selling an illegal drug two times, your aid will be taken away indefinitely. – For possession crimes, you get three strikes, before your aid is revoked for good. What should I do to maintain my grant? In general, its not difficult to continue being eligible for the grant. First, you need to stay enrolled in an undergraduate program at a US based school. Second, you need to fill out the FAFSA form every year that you are in school. Third, you need to maintain a certain GPA (get good grades), complete a specific number of credits every year and successfully move toward finishing your degree. All of this will depend on the particular school you will be attending. How to apply for a Pell Grant? To start the application process, fill out a FAFSA form. When you go through the application, it is very important that you are honest about your felony conviction. Similarly, you have to be truthful about your finances, and report an honest amount for your family contribution. Even if you don’t qualify for a Pell Grant, filling out the FAFSA may help you gain access to other types of education loans and grants that you would qualify for. While it is not easy to go back to school after serving time in prison, don’t let the challenge derail you from getting your life back on track. Higher education can open a lot of career opportunities for you, help you earn a good living and live as an honest, upstanding citizen. I’m looking for information on grants. I know I will definitely qualify thanks for the info.